Can be placed directly on your website, delivering The Kids' Cooking Network right to your visitors 24/7. The Kids' Cooking Network™ TKCN LIVE is a FUN recipe for success empowering Kids, Tweens, Teens and Families to eat better so they can live better! Welcome to The Kids' Cooking Network™ TKCN LIVE "Food News You Can Use" from around the World! A "Virtual Kids' Food News Magazine™". We are an innovative forum where kids' choices and voices are heard, where kids have their say and where their food perspective counts. THE KIDS' COOKING NETWORK - TKCN LIVE produces "lifestyle driven content that entertains, educates, and elevates Kids, Tweens, Teens & Families everywhere"! "Our mission is to help eradicate childhood hunger, childhood/family heart disease, obesity and diabetes through engaging transmedia content and interactive social media" Helping Kids and Families Eat Better So They Can Live Better! At The Kids Cooking Network™ TKCN LIVE the kids are running the show! Persistant demand for culinary products and media by kids, tweens and famlies continues to be demonstrated through the consistent escalating sales of children's cookbooks and by the ever increasing popularity of kid chefs. It is quite apparent that the world is ready for kid-family friendly Food News -Edutainment programs and products with kids as creators, hosts, chefs, correspondents, producers, advisors and more! 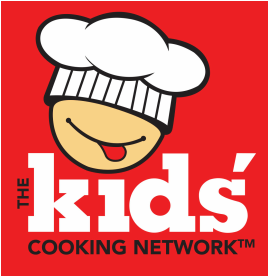 The Kids' Cooking Network™ TKCN LIVE is a first in a multi-media platform of its kind! Our TKCN Transmedia outlet offers: Print, Live Events, Multimedia content via Internet, interactive iTV, broadcast, streaming media devices, VOD, OTT, connectedTV, cable/satellite and mobile push. Programming available globally 24/7 across regional and international markets. ​TKCN Helps Kids, Tweens & Teens develop important Life skills! TKCN content is produced by kids for kids and their community. Kids learn while building self-confidence and developing life skills and talents. Attributes which will further serve the kids on into adulthood and in possible future careers. Ensuring kids with pertinent quality content while having a whole lot of fun! The Kids' Cooking Network™ TKCN LIVE is a FUN food, health and wellness Edutainment, multi-media outlet under the mentorship of World renown, Chef Michael McDermott. Founder/Executive Producer, Chef McDermott provides extensive experience and expertise in both the culinary and broadcasting fields.
. Kids' Food Market Reports, and a bounty of so much more! See what the kids are cookin up™ on The Kids' Cooking Network™. Please Note: A portion of our profits go to organizations that fight childhood hunger!